The Suzuki option doesn’t interest the Doctor. 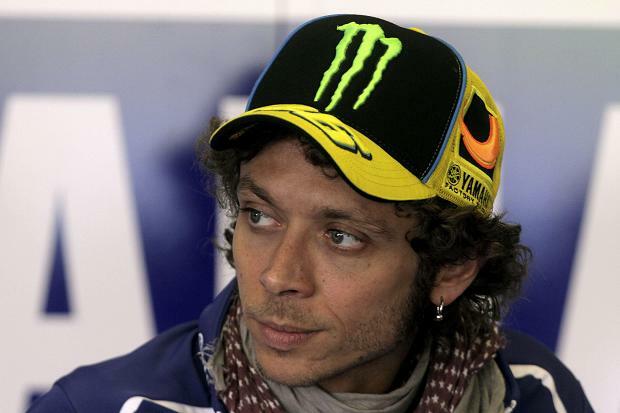 Valentino Rossi has revealed he has no intention of joining with Suzuki when they make their MotoGP return in 2015. The Doctor has said in a recent interview with interview with Germany’s Speedweek, that he has no interest in joining Suzuki. Rossi was also asked, and spoken about his time with Ducati, and the mistake as he calls it. He also spoke about his his current team at Yamaha, his team as he is calling it. Rossi went on to talk about what the future holds for the Yamaha rider. Below are a few extracts from the interview. Around 2005 or 2006 you declared “It’s clear that, for an Italian rider, the greatest emotions comes when you win on an Italian bike, and I know this very well from my time with Aprilia. However, I’ll never join Ducati as they don’t listen to the riders and build the bikes according to the ideas of their engineers”…? The error began in February 2010, when you made some specific requests to Yamaha: “If in 2011 Lorenzo stays, then I’ll leave.” Yamaha took that ‘threat’ very seriously, and soon after they extended Lorenzo’s contract. At that point, in order not to lose face, you had to go..
“Yes, unfortunately. And that was a big mistake. Eventually, maybe, it was good for me to try the Ducati. Anyway, my problem was with Yamaha, because I told them: “It’s either Jorge or me.” At first I did not understand why Yamaha had decided to put Lorenzo in the team. Today, a few years later, I realize that Yamaha did the right thing because they had to think about the future. Now you say that the experience with Ducati was also somewhat instructive, and therefore you will not make the same mistake twice. Does this means that you’ll stay away from Suzuki? Suzuki is definitely a hot topic for you since your old friend and adviser Davide Brivio is the team manager. It really is an impossible thing?